​Fraudsters will find it harder to infiltrate supply chains and profit from food fraud with the release of a new industry tool designed to help fight fraud and protect consumers. SSAFE and PwC say this free tool – developed by SSAFE in partnership with PwC, Wageningen University, VU University Amsterdam and food industry leaders around the world – will help food companies assess their food fraud vulnerabilities. Food fraud affects consumer confidence and is estimated to cost the global industry US$30 to $40 billion a year. "Recent food fraud incidents have increased the need to strengthen the food industry's ability to detect and combat fraud across food supply chains," says SSAFE Executive Director Quincy Lissaur. "As a non-profit organisation SSAFE believes protecting consumers is vital. By developing this free tool we hope to help strengthen companies' internal controls while reducing opportunities to adulterate food for economic gain. 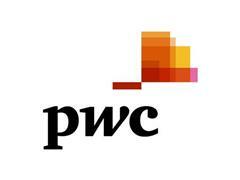 PwC research has found more than one in three of all organisations are victimised by fraud. "By clearly understanding the conditions and situations that provide fraudsters with opportunities, companies can target resources and actions to detect and prevent food fraud before affected products reach consumers," says Mr Lissaur. "Collaborating with PwC, who has a strong tradition of helping companies manage risks and improve processes, greatly improves the proposition and reach of this tool." Craig Armitage, PwC's Global Leader of Food Supply and Integrity Services, says current food safety practices are not always designed for fraud mitigation: "Beyond the economic cost, food fraud can harm public health and damage consumer trust. Food frauds, such as horse meat being passed off as minced beef or the addition of melamine in dairy, have increased the urgency with which the food industry is taking action." SSAFE and PwC's food fraud vulnerability assessment tool comes ahead of new food safety requirements being introduced by the Consumer Goods Forum's Global Food Safety Initiative (GFSI), as well as several regulatory authorities around the world. Mr Armitage adds, "The global food industry is calling time on fraud. With the use of our freely-available online tool it will put food companies in a stronger position to identify vulnerabilities and give consumers greater confidence in the safety of their food." "Food may be about taste and nutrition for most of us, but for fraudsters it's always about using food as a pawn to make easy money. We hope to help food companies strike at the heart of this motivation so fraudsters are less willing and less able to profit from food fraud." SSAFE and PwC's 'Food Fraud Vulnerability Assessment' is freely available now for all food companies to download in Excel at www.pwc.com/foodfraud​ or online at www.pwc.com/foodfraud​. It will be available for download on Apple's App Store or on Google Play later this month. John Spink, Michigan State University, 2014. SSAFE – working alongside Wageningen University, VU University Amsterdam and food industry leaders around the world – has collaborated with PwC to create a food fraud vulnerability assessment tool. The tool can be used free-of-charge to help identify food fraud vulnerabilities and provide companies with a basis for developing mitigation and control strategies to reduce their risk to fraudulent attacks. SSAFE initially conceptualised and developed the food fraud vulnerability assessment with its food industry partners noted above. The tool does not provide specific mitigation techniques, detect fraud or predict future food fraud incidents, but it does provide guidance on how and where to find solutions. The tool will support the food industry in preparing for new requirements requiring food companies to undertake food fraud vulnerability assessments. The tool is freely available for food companies to use and for sharing between people, departments and geographies within an organisation to get a clear picture of vulnerabilities. The tool can be applied anywhere across the food supply chain to assess any ingredient, product or facility for vulnerabilities to fraud; irrespective of the type of food company, its size or geographic location. It is available for use online at www.pwc.com/foodfraud​, downloadable as a spreadsheet at www.ssafe-food.org or online​, and as an app later this month. Responses to the assessment are confidential and anonymous, with respondents and organisations not identifiable from the information recorded. All responses will be generalised and allow for aggregated data sharing to support benchmarking, research and in-company reporting. More information about the tool is contained in the brochure 'Food fraud vulnerability assessment' available at www.pwc.com/foodfraud​. SSAFE is a global non-profit membership driven organisation that aims to foster the continuous improvement and global acceptance of internationally recognised food protection systems and standards through public-private partnerships. What makes SSAFE unique is its focus on driving collaboration between the public and private sector to enhance the integrity of the food supply chain – its collaboration with PwC being one such example of how it is achieving its global vision. SSAFE's mission is to foster the continuous improvement and global acceptance of internationally recognized food protection systems and standards through public private partnerships. Find out more at www.ssafe-food.org​. PwC provides Food Supply and Integrity Services. PwC does not assure the safety of any particular food or the outcome of any food service or process. These materials and any views expressed therein are provided for general information purposes only. They do not constitute a recommendation or advice and are not sufficient basis for any decision to be made in relation to food supply and integrity issues. Find out more at www.pwc.com/foodsupplyservices​. At PwC, our purpose is to build trust in society and solve important problems. We're a network of firms in 157 countries with more than 208,000 people who are committed to delivering quality in assurance, advisory and tax services. Find out more and tell us what matters to you by visiting us at www.pwc.com​.